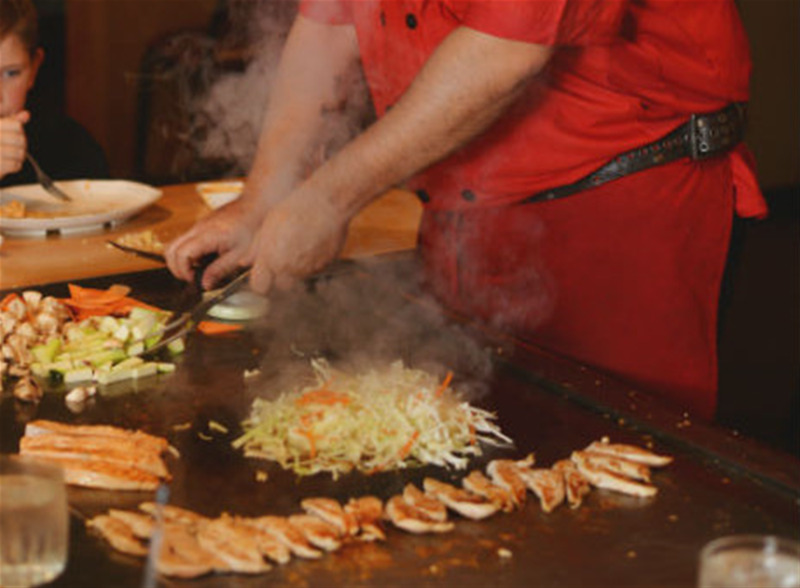 Japanese Steakhouse and Sushi Bar where the food is cooked on a hibachi grill right in front of you by an entertaining chef. We have a private area for parties of up to 40 people. Open 5pm-9:30pm Sun-Thurs, 5pm-10:30pm Fri & Sat.